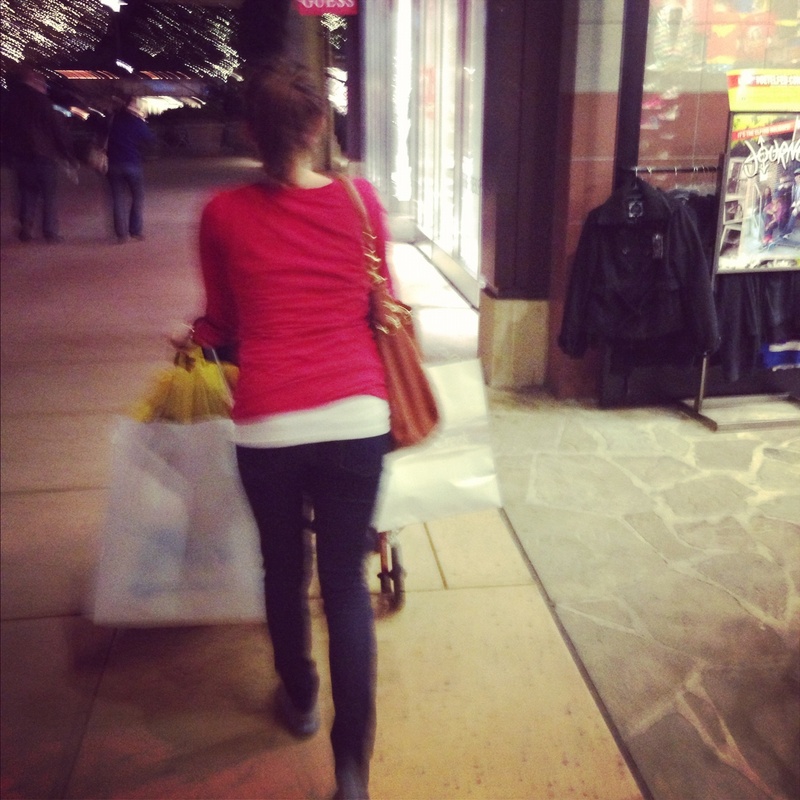 On December 23, Sister K, Mom and I all headed to the mall…Husband and Dad headed to the movies together. It was girl time/best friend time/mother-daughter time/all of the above. We were done with our holiday shopping but went to enjoy the sales, soak up the frenzy of the pre-Christmas chaos and spend time together. As I was there I saw other families together, other mothers and daughters but for the first time I didn’t feel the instant twinge of jealousy I used to feel. 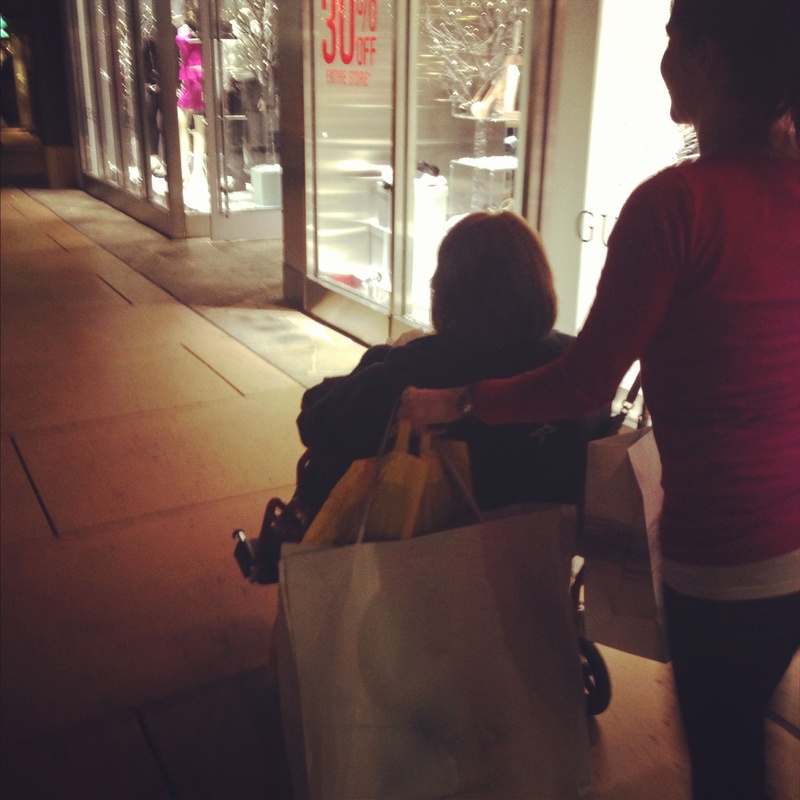 Sure Sister K and I pushed our Mom around the mall instead of walking beside her…but instead of focusing on the differences between our Mom and other Moms…I just focused on being with Mom. We had a wonderful day. We wandered around, in and out of the stores, showing Mom things, trying clothes on, stopping to grab something to eat, and to insert a line from a familiar Christmas tune “laughing all the way.” It was a special time and the perfect way to leave the cares of my life behind and become focused on being home with my family for Christmas. I felt very blessed by the relationship I have with Mom and Sister K. I felt blessed that I “wanted to go home to spend time with them” as I listened to people complain about being home with their parents for holidays. Instead of thinking of the frustrating cards we have been dealt with Mom’s MS I thought about the good cards I have been dealt with my family. I am learning to take all the cards I’ve been dealt, the good and the bad, and to make it work. 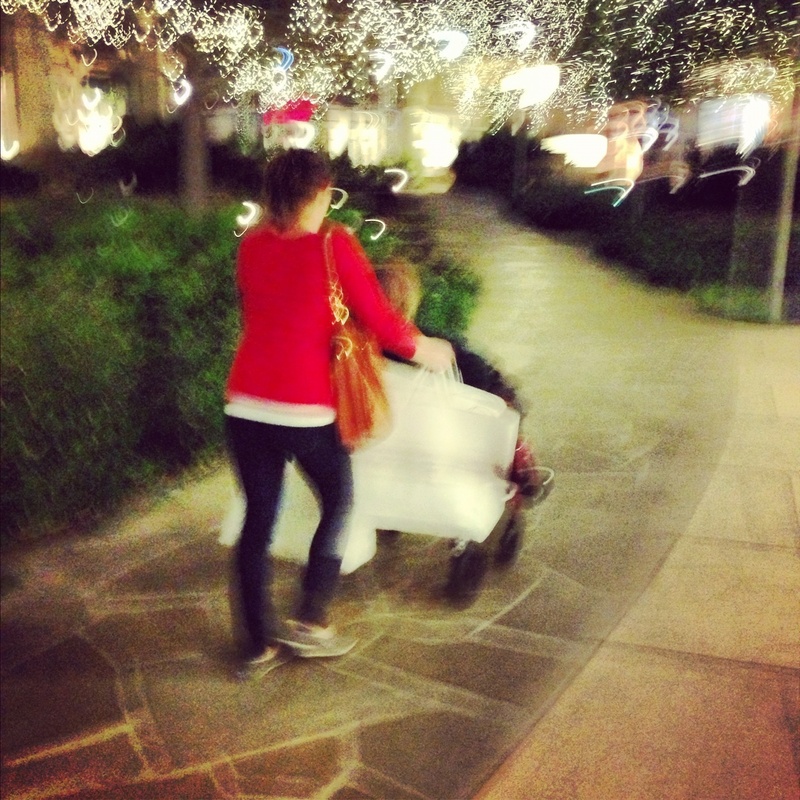 And if it means taking turns pushing Mom around the mall in her wheelchair, sometimes having some minor issues with navigating through doors, and sometimes taking up too much space- I’ll do it. I’ll do it because as I sit here today I don’t remember those things, I just remember the time spent with Mom. Did you do anything special with your family over the holiday season? Do you ever focus on the negative cards you’ve been dealt and overlook the positives in the process? Does anyone else enjoy going to the mall to enjoy the pre-Christmas chaos or are you among those still doing last minute holiday shopping up until Christmas Eve? This entry was posted in Uncategorized and tagged daughter, faith, family, holidays, Multiple Sclerosis, my mom has ms, new perspective by AG. Bookmark the permalink.